Help Us to Win a £4000 Grant from TESCO Bags of Help! Adventure Hyndburn are in the running to receive a huge cash grant from the TESCO Bags of Help initiative! We plan to use the funding to deliver programmes of Forest Schools to support the health and wellbeing of those most in need in our community. PLEASE SUPPORT US – your vote counts! 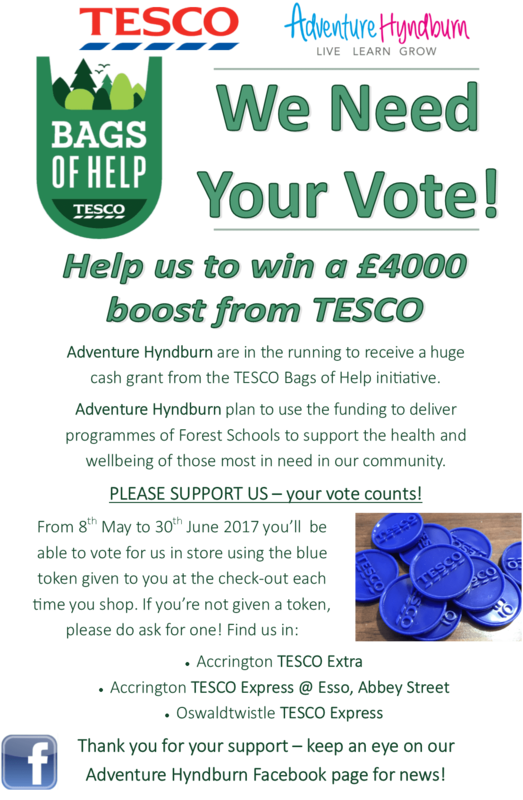 From 8th May to 30th June 2017 you’ll be able to vote for us in store using the blue token given to you at the check-out each time you shop. If you’re not given a t oken,... please do ask for one! 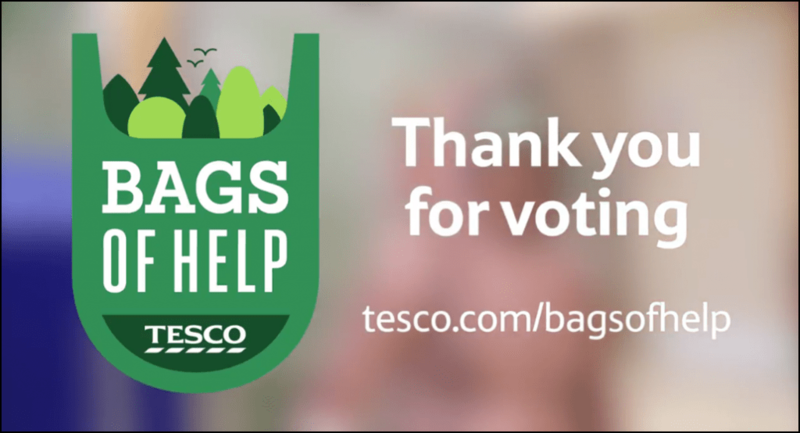 Want to know more about the TESCO Bags of Help Scheme? Click here.